The perfect Biker Recovery Mug! 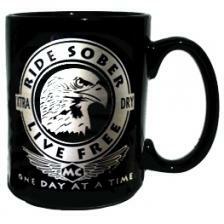 This has a metallic silver imprint that reads "Ride Sober Live Free". Printed on black.